Researchers are hailing a groundbreaking new finding as a major opportunity to totally transform criminal investigations in the future. A groundbreaking new discovery by scientists could completely revolutionize how criminal forensic investigations are conducted in the future. Many investigations today rely on DNA evidence as the only way to reliably identify an individual, but it’s not always easy to get a DNA sample — fortunately, however, scientists may have just found a way to use human hair as an alternative, which would make a major difference in future criminal investigations. Scientists have for years been trying to find an alternative to DNA because it is so hard to find DNA markers at crime scenes, and there just isn’t a better way to provide dead-on accurate identification at a crime scene. Now, a new paper by scientists at the Lawrence Livermore National Laboratory and published in the journal PLOS One claims to have done just that, according to a PLOS statement. They believe that human hair has markers that may be just as accurate. 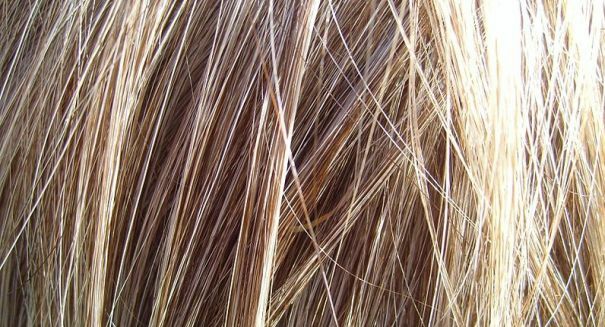 The hair can be analyzed for genetic mutations in the proteins in hair, and this worked even when the hair was 250 years old, showing it doesn’t deteriorate even over a long period of time. It won’t replace DNA analysis overnight, but it’s a huge discovery that could make a major difference on investigations at some point.